The right choice of moulding can add character to any room in your home. 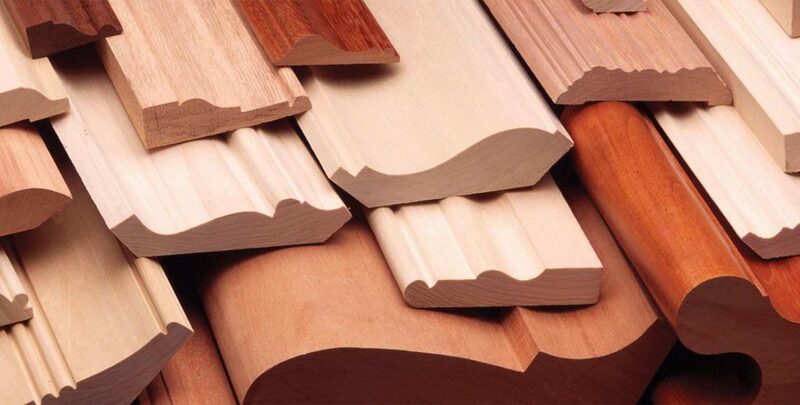 Whether you’re looking for wood or MDF moulding, Orange Coast Hardware & Lumber is your trusted source. Our stock includes base, casing, cove, crown, cornices, handrails, panel molds, lattices and more. Different rooms in your house may have different needs… To add dimension to smaller rooms with low ceilings, it’s probably best to select narrow baseboards without a lot of detail. Larger rooms and homes with high ceilings, however, are great candidates for crown moulding – a fantastic architectural element that can really boost a property’s value and aesthetic appeal. If you have a long boring hallway you’d like to jazz up, or you want a traditional feel in the kitchen, but a more modern look for the bathrooms and media room, come tell us all about it! Our staff can help you make strategic and appealing choices for moulding, wall treatments, and trim. Please click here to visit El & El’s website to view their full range of products. When you’re ready, you can contact us here to get in touch with a member of our sales team to place your order.